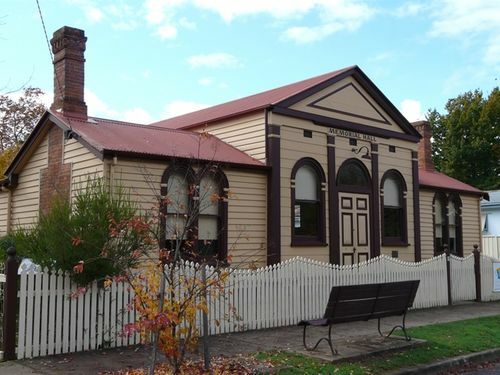 The Jamieson Memorial Hall was opened in 1883 and the building was used as the Town Hall and Howqua Shire Offices until amalgamation with Mansfield in 1919. The building was then given to the people of Jamieson as a memorial to those who fought in World War One. The annual ANZAC Day service is held at this hall each year.